Over centuries, messages have been expressed in multitudes of ways. All kinds of art forms rose for the compliance of varying endeavors: advertisement, the utterance of thoughts, entertainment, and many more. Graphic design is one of the results of the industry’s ever-evolving technological foundation. Compared to other kinds of design, it is relatively young. What is it? Graphic designing is the combination of digital techniques, pieces of media, and the like in an acceptable extent to express a thought. Through effective approaches, a graphic designer can project a thought in a way that may entice viewers. Graphic projects may appear in both physical and digital forms. 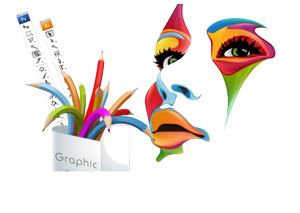 Graphic designing is an open field during the creation process. The media and processes required to accomplish a project solely depends on the planned outcome itself, which is why it is a no-brainer for graphic designers to outline their work first before starting. Graphic designing may require images, words, and materials of all types and all of these materials can further be enhanced through the use of digital effects. Now that technology is universal, so is graphical design. Almost all billboard designs, posters, signs, corporate logos, and even book covers are now conjured from the skills of graphic designers. This is because not only is the creation process broader than that of conventional arts, but it is also easier generally. Aside from a computer, a tablet, or a phone, graphic designing does not require additional materials as opposed to palettes and brushes required by painting. This means that it is also more resourceful. Graphic designing is not only present in the real world, but also on the internet. In fact, almost all of the art forms scattered all over the internet are products of graphic designing. A couple of notable examples are Google’s logo and the well-known icons of Facebook. Graphic designing is also not restricted to logos. It is also present in custom website interface designs, side-advertisements, backgrounds, wallpapers, etc.. While there are still contests about traditional art, competitions regarding graphic design are now sprouting as well. The graphical design also does not lock itself in the general use field. Major corporations are now generating job opportunities for those who are willing to use their skills to produce materials for said companies. Graphical design is one of the most prominent jobs offered by most freelancer websites. It is also taught under visual art tracks in an increasing amount of colleges all over the world. Graphical designing revolves around the use of programs specially designed to do such tasks. Two notable examples are Adobe Photoshop and Paint Tool SAI. Adobe Photoshop is a well-renowned photo manipulation program that one can use to apply modifications on existing photographs or to create photos from the ground up. It offers an extensive list of manipulation processes that users can use to apply the effects they desire. Paint Tool SAI is an example of a program designed for practical artists. Using a graphics tablet, artists can integrate their drawings directly onto the computer screen. Now that the background of graphical design has been discussed, what are the key differences when you compare it to traditional art? 1. It can stretch away from being a mere static product with ease. Thanks to specifically designed applications, products created by graphic designing can be dragged over to other genres, such as GIFs and animations. Photos can be divided into individual frames with small modifications in each to produce the illusion of movement or transformation. In conjunction with music and sound effects, animation can be procured. While dynamic media can indeed be extracted from traditional art (a feat that has been done by Disney multiple times in the distant past), such is significantly more costly compared to the ease provided by graphical designing. 2. It has a strong demand. While traditional works of art are still widely respected all over the world, graphical works are starting to enter the vision of people as well, more importantly corporations. Given the clear advantages of graphical art over traditional art, businesses are now moving closer to graphical artists for the respective media they require. This is evident through the presence of digitally-constructed pictures plastered all over cities. Do not get on the wrong foot. Graphic designing still requires a heavy amount of effort, but compared to traditional designing; it is mildly less restrictive. To begin with, a graphical designer can easily undo his/her mistakes while a painter will have to stick with inaccuracies. Most of the graphical techniques offered by programs follow algorithms. This chops the creation process down yet again. Bevels can instantly be added unto a piece of art whereas a painter will need to consume time adding details to his/her work to supply bevels. Graphic design is still relatively new to the industry, but it sure is expanding at an uncontrollable rate.